Do you think you can take on the King of Pop and learn the moves to the most iconic music video of all time in a Thriller Hen Party Dance Class. Why a Thriller Hen Party Dance Class? Loosen your limbs and re-enact MJ’s most famous dance in our Thriller dance hen parties. Your hen party will make memories that they will treasure for years to come! 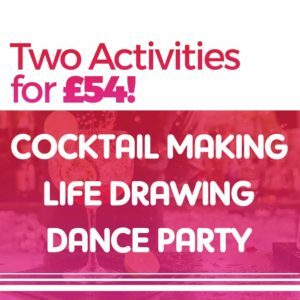 Our dance instructor will teach you how to throw your arms like zombies and moonwalk like Michael, this fun-filled hen party dance class is guaranteed to give you all shivers! You just won’t be able to resist the evil of the thriller! Take the stage at the wedding reception and give your guests a sight that almost stops their hearts!